Floyd Ray Coffer was born March 5, 1935 in Danville , AR. He married Laura Florence Franklin on August 25, 1955. They have five children: Pat, David, Steve, Brian, and Kelly. They have many, many grandchildren and great grandchildren. Floyd retired from Emerson Electric in 1997. He had been the 67th person hired at the plant in 1959. 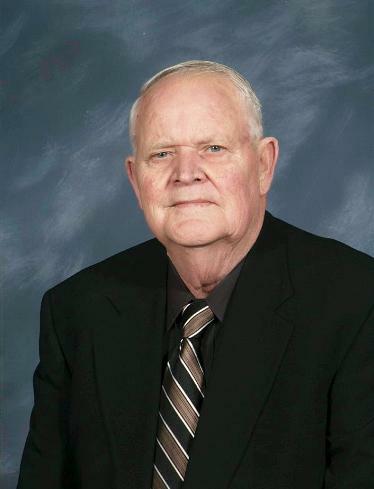 He was a member of the Little League Baseball Board and coached for 19 years. He was a Jaycee and Boy Scout Leader in the community for several years. He became a deacon in 1975. He has served in the TV ministry, taught class, carted around the youth group on trips to retreats, Bible quizzes, and amusement parks. He and Florence housed children on weekends for the Homecrest Children’s Home house parents. Now he is usually the first person you see out front. When the bell rings, that’s Floyd. When you can’t get down the hall because communion is being observed, that’s Floyd. And when the front door of the church building opens automatically, that is not a system, that’s Floyd (bless his heart).